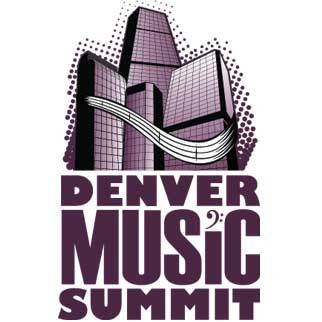 An opportunity to celebrate all that is right with music in Denver, and look forward to where we can be headed, the Denver Music Summit is happening this Friday! I am extremely excited to be a part of this multifaceted event that will both serve as a crash course for Denver-area musicians on how to get their music heard on a wider scale, as well as for policymakers and music folks from around the country to come together to discuss how we can help from the top-level policy perspective. A joint vision of both the Denver Office of Cultural Affairs and WESTAF, the Western States Arts Federation (who commissioned that in-depth study on the Denver music scene last year), the Denver Music Summit is the culmination of a lot of planning and dreaming. Musicians have scheduled one-on-one consultations with experts in a variety of fields, including promotion and booking, blogging/press, audio engineering, song licensing, and artist management. In the afternoon, my amiable southern friend Storm Gloor (who teaches music business at UC Denver) will be presenting a series of seminars to the large audience with the help of guest speakers like me, to talk about topics like The Future of The Music Business, and Marketing Effectively in the Digital Age. On Friday morning I’ll also be helping to facilitate a policy symposium with high-level folks from arts organizations, universities, fellow music-centric cities (like Austin), record labels, and more. We’ll be discussing things like cultural policy, the creative economy, music education – things that I could talk about all day. I am pretty excited to hear what all we can come up with, and actual ways that it can affect music in this great city. Plus, the mayor/governor-elect is gonna be there for lunch (I call him Hickenloop) so I am wearing my Sunday pants. The Summit proceedings are pretty much full-up this time around, but you can still win tickets to come to the kickoff concert celebration tomorrow night! Come join your fellow music lovers at the Bluebird to hear a varied gathering of local musicians: some of Denver’s best artists in classical, jazz, hip-hop and rock. Performers include the Lamont School of Music’s Playground Ensemble, internationally-renowned jazz artist Ron Miles, local hip-hop luminaries Mane Rok, DeeJay Tense and Prime Element, and local indie popsters Fingers of the Sun. It should be interesting and fun! Come drink and dance with us. Doors – 8 p.m. / Showtime – 8:30 p.m.
$10, or email me by noon to win a pair of tickets! Tagged with denver, denver music summit. I still love John Denver’s music. Haven’t been to Denver since ’97. Loved the Tattered Covered Book Store. hello, I am Gadget Tone(artist name), I’m the co-owner of Electro Cartel Ent. & Security Company. We are going to be hosting an event on January 22nd at the Aztlan Theater. This will be an electro house and dubstep based event. The following artist will be performing: Inner, Youngsunn, Astro Dudes, Cold Blank, Teen Wolf, and ZXX. With a possibilty of a secret dj. Im contacting this blog to see if you are interested in getting any interviews with any of these artists or about the event. It would mean a lot to our company if a blog a prestigious as this one would help us get the music out to all the people in the region. My number is 702-409-6285. I will be in Denver till January 9th and also 3 days prior to the event. Thank you for your time and hopefully we will hear from you soon. My band is the Dirty Lookers. Our record release party is this Sunday, July 31, 2:30 PM at Wax Trax and we’re getting the word out. We’d appreciate a blurb! We’re touring the east coast in August; we were produced and managed by Kelly Cowan and Bill Thomas; recorded to 24 track analog; great lineup; in rotation on Little Steven’s Underground Garage in Sept; a few videos will be out soon. Lots more to talk about if you’d like to give us a call or meet up. We practice Tues and Thurs if you’d like to schedule a conference call. Our Reverbnation is below but I’ll get you a full hard copy of our record when we have it in hand. I’ll send some artwork and MP’s if you provide an email addy!